As I LMAO, I totally agree. It is a cost-cutting grill design. I had a beautiful W221 come up behind me today and I instantly thought to myself that the W221 grill is the prettiest, best proportioned grill of any MB in the past few series. Last edited by MBS63AMG; 02-16-2018 at 08:56 PM. The Lexus has a 24" HUD screen??????? Wow, what all does it show you??? The stock prices? The weather radar picture of the entire USA? ****? Me too! I still like the 221 design over the 222. Oh course I have to post a pic. Ps: It may be worth that you create a dedicated thread (as I feel I’m hijacking a Lexus thread ). Not sure I understand Charles' approach. Wouldn't it make more sense to compare your 2018 to another 2018, rather than to your old 550? If he compares the 560 to the 550 and documents differences, the dealer could just say that design/manufacturing/materials differed between those models, and you would I think be left with no recourse. But if the comparison were made between 2 2018s and yours was documented as noisier, then I think you would have grounds for saying your unit is defective in some way. If the test of yours pointed to a particular problem area, for instance documenting a greater noise intrusion at the left rear door as compared to the right rear door within your 560, that would be especially helpful in pointing the way toward an MB fix. So I will be test driving several other 560s as step 1 to rule out a problem specific to my 560. If they all have the same degraded external noise isolation problem, we will then proceed with acoustic testing of my 560 vs. previous 550, which is my gold standard for superior external sound isolation. Really hoping it’s a fixable problem with my car; not a baked in design issue with all the new S cars. Auto manufactures have been busting buns making cars lighter to meet fuel economy standards yet making them stronger by using more aluminum and carbon fiber parts. I'd bet all the new S Class Sedans have more road noise due to less insulation and thinner parts. When do plan on doing this? I don’t know. I would think something like that may happen with a completely new model, but between the 2014-2017 and the 2018? I really don’t think they would go to all that re-engineering, redesign, retooling, huge expense etc. Correct. There are always some small revisions due to quality/process improvements or vendor changes but no major design changes. Body changes requires re-tooling and are too expensive. I think it is possible that with the 2018 FL MB downgraded the sound insulation somewhere in the car. But imo it is more likely that HCSLA's particular car is defective in some way...maybe an individual seal or piece of insulation was defective, or improperly installed. I am sure it’s a really simple fix, once it’s gets figured out. Well, they did remove the front storage seat compartments, that must have saved them $10. The rear comfort seats no longer have Easy-Adjust headrests with the power forward adjustment and the electric parking brake in now black plastic, not silver aluminum colored. Makes you scratch your head sometimes at why they do this. They should be required to list what you taken away, after they brag about "2,000 updated for 2018" or whatever the number was. There is absolutely an issue with these 2018 s class cars regarding cabin noise intrusion. There are a few far less annoying issues like poor car play integration, elimination of storage bins and other issues that have been raised. Has anyone that’s owned a 2014 - 2017 S Class and now has a 2018 NOT noticed an increase in external road noise penetration? You know, they should! 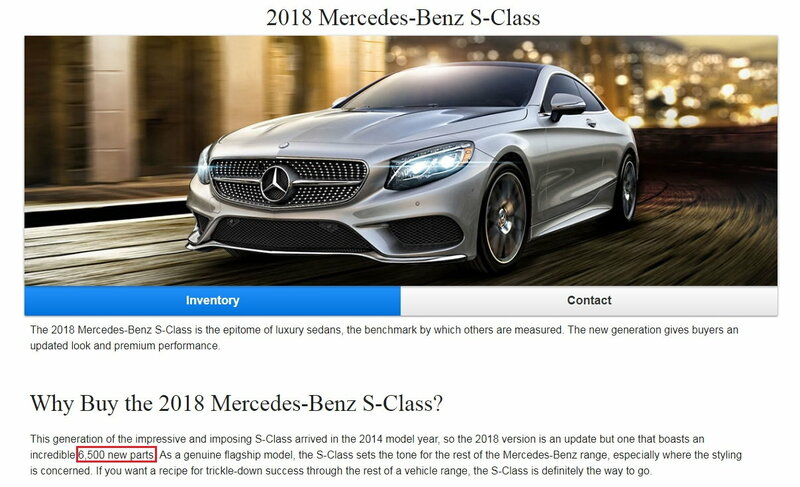 All they need to do is have another page on their website, that folks can click on to see what has been added, what has been deleted and what has changed, from one model year to the next. They could go further, by putting a short note next to each item, saying WHY they did it. Like: Parking brake release lever changed from aluminum to plastic. Reason: weight savings. However, they will NEVER do this, because they know that 95% of the buyers will never notice, question or care about these things, just the crazies, like us. Plus, they don’t want anyone to know how they cheapen their products. that’s exactly what they should do, SL. But unfortunately it’s not the Mercedes way. Last edited by Jason B; 02-18-2018 at 02:18 PM. Hey sorry to revive a dead thread, but even the good ol' Avalon has traded plush ride for sport. Glad to see MB still prize magic carpet ride in their base S-Class. I'm a young guy and not all young people care for bone-jarring sports cars. In 2010, my second choice car was a Lexus 460, but the dealership wanted far too much money for it. So I got an E350. The S was too pricey once the "options" were added. Regardless, I would NEVER consider any Lexus now simply because of the world's ugliest grille in history. Now they are doing it to Toyotas. Any updates to this? Maybe I'll buy used to avoid the 2018 S but I never got closure to this. My 2018 S450 is by far the most quiet car I have ever owned! No noise at all. I do hear engine noise if I step on it! If I buy an S new it'll be the 450. 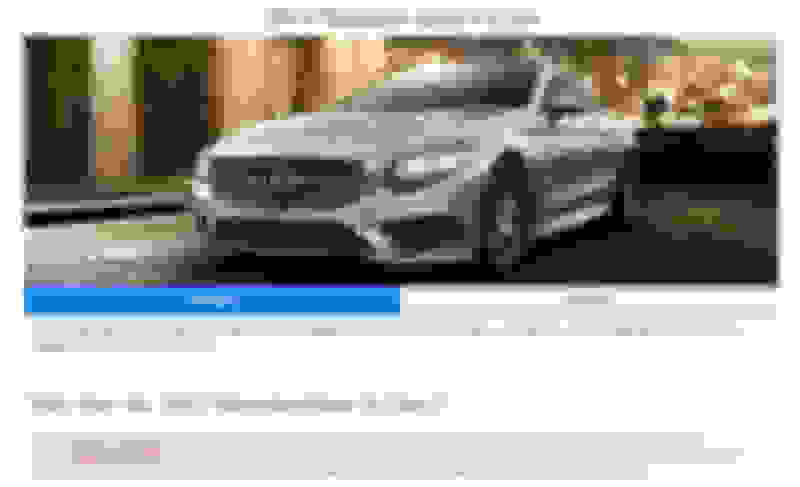 That said, is this issue only on the 2018 S560? I do not believe this is an “issue” affecting many cars, only the one noted. 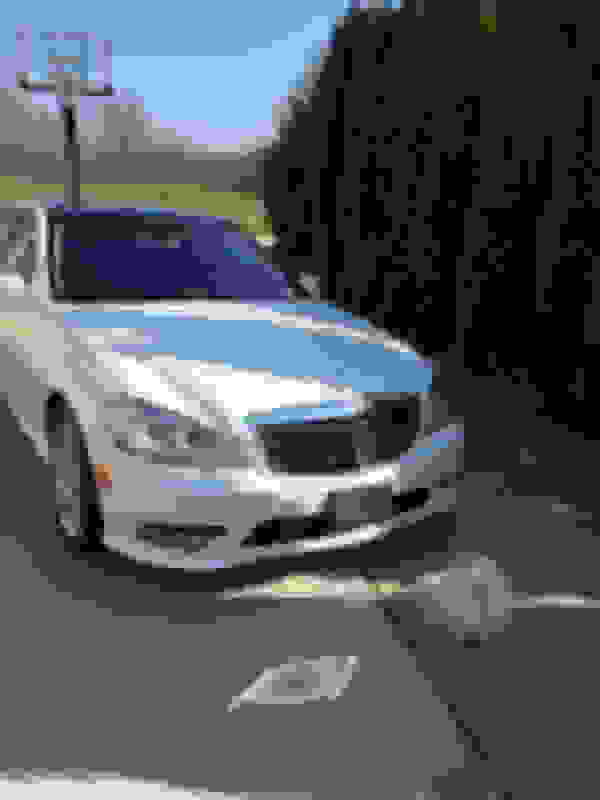 I have an S560 sedan and the car is so quiet, that sounds that we’re not noticed in my 2015 S550, have now become more noticeable. All cars have sounds entering the cabin. Air moving over the car at speed and noises made by other vehicles, enter the cabins of all cars. The fact that the facelifted W222 has reduced so many other sounds from entering the cabin, has brought these previously less noticed sounds to the forefront. I should note that I run 18” wheels with non-run flat tires, pretty much eliminating most all tire noise as well. At some point, as these cars continue to become even more quiet, someone will probably complain that they can hear themselves breathing.